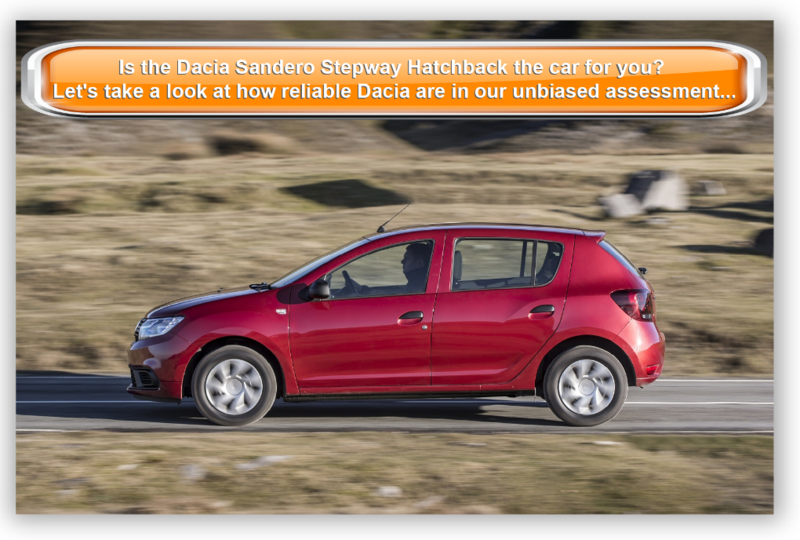 Looking for an objective review of the new Dacia Sandero Stepway Hatchback? OSV has got you covered, from engines to lease deals. 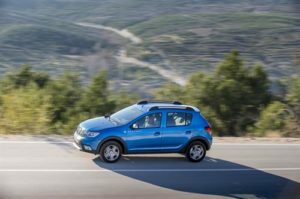 The new Dacia Sandero Stepway Hatchback represents enormous value for money. It’s usable, robust and looks like a cute and compact SUV. The bonus is that it costs much less than a compact SUV. It’s in essence a standalone trim level of the standard Sandero. It has more ground clearance, stronger side skirts and bumpers, as well as a set of roof rails. It’s a tough cookie that’s determined not to let you down, although it doesn’t come with four-wheel-drive. As such, it isn’t going to be able to get you out of all your off-road scrapes. OSV takes a closer look at what it’s all about with our Dacia Sandero Stepway Hatchback review. Provided you aren’t in a massive hurry, the Dacia Sandero Stepway Hatchback is an easy way to get from A to B. There are a few faults; the raised suspension cause plenty of body lean when you tackle bends, while the steering inputs won’t be as responsive as you’d like. At low speeds, the steering is also quite heavy, and this can make the car difficult to park. However, there is a lot of grip and the Dacia Hatchback performs well in a straight line. And at its price point, it’s smoother, more comfortable and quieter than you might expect. And in a rather backhanded compliment, the Sandero Hatchback doesn’t disgrace itself one jot out on the road. It’s one of the cheapest cars on sale in the UK right now, but it’s able to rub shoulders with pricier hatchback’s without standing out for the wrong reasons. There is still some bargain basement fun to be had, too. The 0.9-litre 89bhp petrol engine might be the only petrol unit available, but it’s a lively little number that emits a fairly sporty sound. It’s turbocharged and offers quick acceleration, with the 0-62mph dash taken care of in 11.1 seconds before maxing out at just over 100mph. The 1.5-litre diesel is your only other engine choice. It feels more grown up than the petrol and is better suited to the motorway. It’s got enough power in its tank to get you tom a rest to 62mph in 11.7 seconds, and although that makes it slower than the petrol engine, it has more punch and is more flexible. However, once you start working it hard, it will definitely let you know. You don’t have to pay an awful lot for this car, but that doesn’t mean you have to be uncomfortable on the road. Indeed, Dacia have spoiled buyers this time around, and the Stepway is a very comfy place to be. The dashboard has everything you need if not everyone you want. This means that you get all the essentials, such as the rev counter, a speedometer, the temperature and fuel gauge … but not much else. It’s as basic as basic does. However, the logical layout means that everything is easy to find and use, without any time needed to get your head around things. Moreover, the Stepway has recently undergone a bit of a facelift. New for 2017 are lashings of chrome, a better dashboard trim, as well as a brand new 4-spoke steering wheel. The interior seems like it’s built to last a long while. Build quality is far from premium, but you get the feeling that the cabin will be able to deal with everyday hatchback life. The Stepway gets raised suspension, which makes it easier to load your bags. This gives it a bit of an edge over the standard Sandero. On the whole, it’s a fairly practical small car. The 320-litre boot is a good size, and can be extended to 1,200-litres by folding down the rear seats. There is plenty of space upfront, while three adults will be okay in the back. ISOFIX mountings come as standard, and accessing the rear is easy thanks to wide opening doors. Dacia have had the good grace to add air conditioning to the Ambiance trim, something it was long overdue. But while the front electric windows switches have been shifted to the doors, rear-seated passengers still have to make door with manual windows. There isn’t much in the way of standard kit, though. All models get treated to Bluetooth connectivity, while the range-topping Laureate model gets a touchscreen satellite navigation system and height-adjustable front seat belts. The list of options is fairly long, but it’s mostly filler. Leather upholstery stands out but paying out an extra £600 seems almost crazy when the car itself is so affordable. Prices for the new car start out from £8,500 and rise to £11,100. 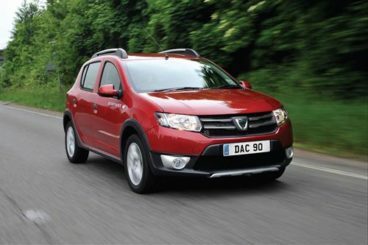 If you prefer to lease, you can pick up a Dacia lease deal from as little as. 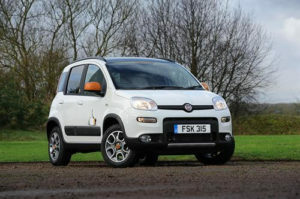 The Sandero Stepway is cheap to keep on the road and insure. It doesn’t depreciate too badly either, and won’t lose more value over three years of ownership than its rivals. The 0.9-litre petrol offers reasonable performance and can average fuel economy returns of 55.4mpg while costing £30 a year in road tax. The 1.5-litre diesel is a lot cheaper to fill up, and can return fuel economy of 74.3mpg while costing nothing to tax. There are only two engines to choose from, but both are efficient and help to keep your costs down. Raised suspension helps with visibility, and the Dacia is easy to drive and park. If you’re operating on a shoestring budget and need a car that “does a job,” you don’t have to look much further than the Sandero Stepway. It’s as basic as basic does inside, but you can’t argue with that price. If you like your small cars to come with a sense of fun, you’ll have either have to look elsewhere or put up with a car that is easy to drive but no fun. It’s affordable but the basic model seems too basic for the price. Let’s see how the car measures up against its rivals in the comparison section of our Dacia Sander Stepway Hatchback review. Family favourite the Fiat Panda Hatchback is back once again, and looks as funky as it’s ever looked. You can count on the new Fiat Panda Hatchback to have a strong sense of fun. It’s a compact, light and easygoing car that is right at home in the city. It’s less assured on the motorway, but stick to urban sprawls and you’ll find it a breeze to negotiate tight corners and park in even tighter spaces. The engines are small, but they’ve been designed for lively city-car performance. The basic 1.2-litre 68bhp petrol engine is the slowest in the range, and takes 14.2 seconds to do the 0-62mph “dash”. It’s not the best at overtaking, and it is rather noisy. We prefer the 0.9-litre TwinAir petrol model. It’s backed up by turbochargers, and although it’s significantly more expensive than the Dacia, it’s sprightly and fun. A solitary 1.3-litre MultiJet diesel engine completes the range. It’s quicker than the Panda’s 1.2-litre petrol engine but slower than the Dacia’s fastest unit. It’s actually rather good on the motorway, and comes fitted with a 5-speed manual transmission as standard – just like all the Panda’s do. Should you fancy it, you can pair up the TwinAir with an automatic ‘box instead. If you do go for the Fiat Panda, the most you’ll have to pay in road tax is £30. It doesn’t cost much to keep on the tarmac either, with the 1.2-litre petrol engine able to achieve average returns of 55.3mpg. The 0.9-litre may cost more outright, but it actually costs less to run. It averages due economy returns of 67mpg and doesn’t cost a penny to tax. In terms of insurance, the range-topping Panda sits in group 7. But it’s the cabin where the Panda doesn’t really excel. There is plenty of space and visibility is good – but it does feel and look rather cheap in parts. Build quality is also questionable, and there really is no telling how long this car will be able to put up with the demands placed upon it by the average family. The seats are also overly firm, so comfort is not assured. Still, it’s a fairly practical car. Fiat have done a grand job of making the most of the car’s compact dimensions, and there is an impressive amount of room on offer. It tall shape means headroom is not a problem, but we’re unimpressed by the decision to put the split-folding rear seats on the list of optional extras. As it is, the boot measures 225-litres with the seats folded down. The new Renault Clio Hatchback is one of the best-looking small hatchbacks on the market at the moment. However, there are criticisms, including a flimsy interior. Down the years, buyers have always been able to turn to the Clio Hatchback whenever they’ve wanted a small car that’s great fun to drive. However, after more than two decades in the business, it seems as though the Clio has finally decided that it’s time to grow up a bit. As such, the driving experience is more measured, with Renault shifting focus to comfort and refinement. With that said, all the engines offer a good amount of performance. The engine range kicks off with a rather noisy 1.2-litre petrol unit that is probably worth overlooking if you want something a bit more hushed. This engine also does without a turbocharger, which means it takes a ponderous 14.5 seconds to get you from a rest to 62mph. Our favourite petrol is the 0.9-litre three pot unit. It might by tiny, but it packs a punch and is perfect in rush hour traffic when you want to skip in and out and get home before the crowd. On longer journeys it’s not so great, but if you’re to be spending most of your time in the city it makes perfect sense. There are a couple of diesel engines to choose from, including a relaxing 1.5-litre dCi 90. 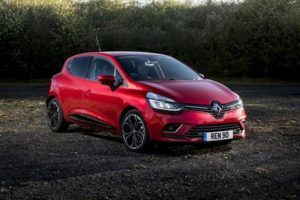 The Clio is determined not to be outdone by the Dacia when it comes to running costs, and boasts some of the most efficient engines in this sector. It might be bigger than last time around, but it weighs less and as such doesn’t cost a lot to keep on the road. Moreover, many of the engines benefit from stop-start technology which further boost savings. The 1.5-litre dCi 90 diesel engine can achieve fuel economy returns of 88.3mpg and is free to tax, while the 0.9-litre petrol is good for 60.1mpg. Inside, the new Clio is more adult than ever before. Visibility is good, thanks to high-mounted front seats which also come with plenty of support. However, the quality of the cloth will depend on which trim you go for. The stereo controls are a bit of a hassle, but there are more soft touches plastics in here than in any previous Clio. Despite being bigger than last time around, the Clio is still cramped indoors. It looks smarter, but while front seat space is fine, rear seat space is a different story. This is not helped by a sloping roofline and the small windows. The boot is a high point, though: It measures 300-litres, which makes it one of the biggest in this class. A facelift has made this car more competitive than ever, and it’s no longer the runt of the small hatchback sector that you turn to when you simply can’t afford to look elsewhere. Sure, it’s cheap but don’t let the price fool you. This is a smart car that performs admirably, getting you from A to B without any hassle. There are no frills, just the essentials – solid performance, an interior that works, and reasonable practicality. The new Dacia Sandero Stepway Hatchback is a sensible choice.